Azalea 'Northern Lights' series. 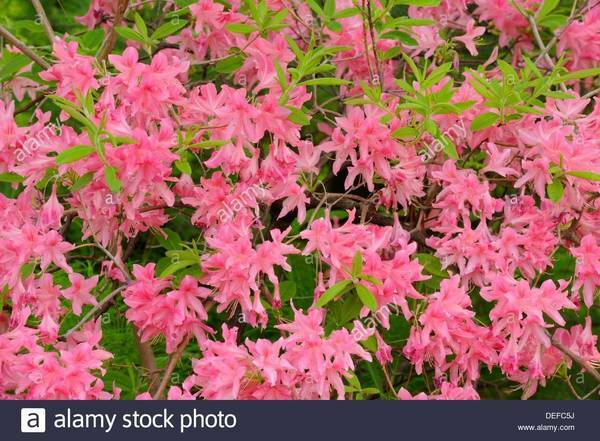 A hardy series of azalea hybrids (Rhododendron) developed for bud hardiness in Minnesota to withstand cold temperatures as low as -35° F without significant damage. Azaleas are deciduous, drop their leaves in fall, and have five stamens in each flower.